When it comes to any kind of building repair work, a building survey is a crucial first step. By choosing to perform a building survey, you can help save costs as your repairs progress thanks to the fact that you can accurately gauge beforehand what type of repairs will need to happen. Many companies will decide to hire scaffolding services without a proper building survey, which amounts to a lot of unnecessary money spent, not to mention that in such cases it’s often very difficult to determine the workload required for the job beforehand. Thanks to our qualified tehnictians with IRATA training, we’re able to perform the best service in the market. We are aware of the damages that asbestos and wrongly chosen cladding can do to your building. But don’t worry, we will fix it! 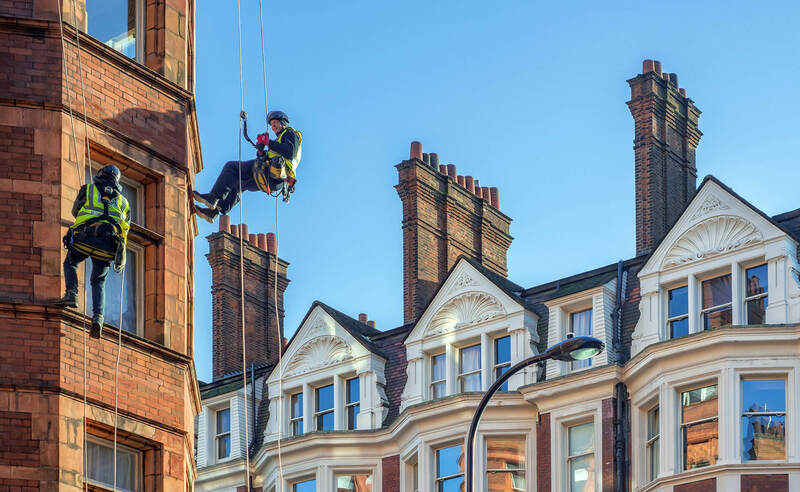 With building surveys provided to you by R.A.I.L., London’s leading industrial abseiling company, you can be sure that you’ll get the best quality repairs thanks to a solid preliminary assessment that no other company can offer. We work with professionals that know exactly what needs to be upgraded or changed to make the building by preparing a detailed analysis. The defects and aberrations will be fixed by R.A.I.L. as quick as possible with the best available materials on the market. If you want a building surveying, give us a call and set up the date for the surveying! Our experienced team will take care of the rest. What Types Of Building Surveying Services We Provide? Our technicians know how to properly inspect your buildings before repairing them to save your time. We can offer you a detailed draft of the repair process, guaranteeing a solution that is swift and cost-effective.